Pull With Our Team – Join the AMCA! 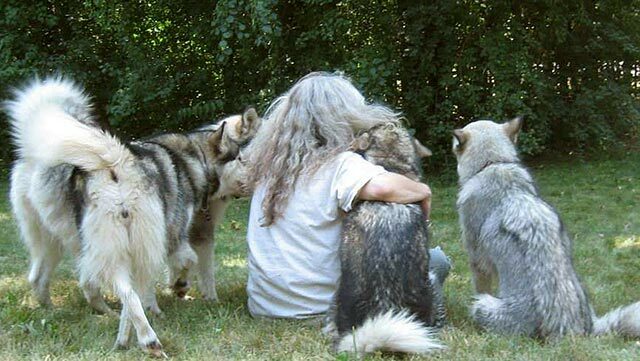 The goal of the Alaskan Malamute Club of America is to support our breed. Breed clubs do more to support breeds than individuals can accomplish alone. Strong clubs make for strong breeds. Through the strength of its membership, the AMCA works to preserve the breed, be the flag bearer of the breed standard, advance health, record history, and share all sorts of malamute-specific knowledge. The AMCA provides a voice for our breed, and it is important to have that voice and an organization that supports the breed. AMCA acts as the ambassador for the breed. Here’s how: AMCA works to educate the public about our breed; train new judges; and recognize and award dogs that excel in breed type, performance or working. AMCA fights anti-malamute specific legislation. Here’s why: If we do not work together to fight anti-malamute legislation, we could end up being unable to own our breed; we may even have to give them up. AMCA advances health research. Here’s how: To help create healthier dogs, AMCA raises money and funds health research; maintains the studbook; educates members on health concerns and initiatives; and runs the chondrodysplasia certification program. AMCA promotes working dogs. Here’s how: The AMCA’s terrific Working Dog Program helps keep the working abilities in our breed, abilities which have been lost in so many working breeds, but not in mals. If individuals who value working dogs worked on their own, they would never have the impact that the AMCA has by running a program which is used by malamute enthusiasts around the world. AMCA is the network for people who love malamutes. Here is what you can receive by belonging: the Newsletter is a resource for articles on training, socializing, working, breeding, showing – just about anything you’d ever do with your mal. The Newsletter also brings you a history of what mals have done, what people have been important to the breed, and news of current events and achievements made by our dogs. Events hosted by the AMCA each year provide opportunities for malamute lovers to meet, enjoy our breed and learn from one another. If you love malamutes and want to be part of preserving our breed for the future – whether through breeding, responsible ownership, understanding the breed, competition, or working – the AMCA offers you many ways to participate.